I also have to mention the old and tired soundtrack which includes too much Rolling Stones and way too much Red Hot Chili Peppers (only one song, but that’s way too much for me). Soundtrack and clumsy character placement aside, it was the overall blurred lines that bothered me most. Usually I like the lines blurred, but not knowing who to like, trust or root for lent itself to the services of utter anger and displeasure with what ended up to be a sanctimonious and preachy climax. Reminiscent of the high and mighty message at the end of Minority Report, this one bothered me. Without going into it (it is the end of the movie after all) if the Don Cheadle or Bruce Greenwood characters would have been more smarmy and unlikeable, I would have been able to swallow the climactic court scene. All this bitching and I haven’t even complained about the spider tattoo. According to Hollywood, if one shoots heroine, then one wants creepy spider, skull or snake tattoos to adorn their arms forever. And God. Was it pro religion or anti Jesus. At times God is openly mocked, but by the end I’m fairly certain he is being thanked. Felt like they were playing both sides of the cross. 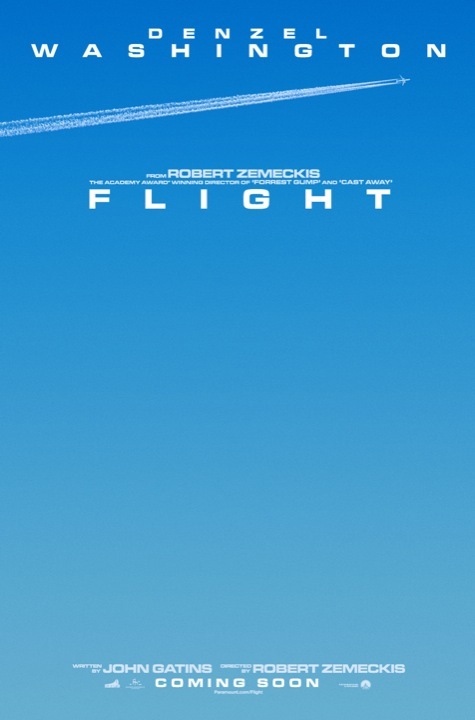 The crash sequence was better than what Zemeckis did in Cast Away, but the movie as a whole was not. The two movies have more in common than a plane wreck. They are both about men who become isolated after a tragic event and that tragic event proves to be the silver lining necessary in the recovery of both characters lives and well being. 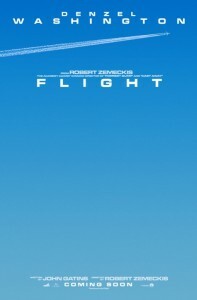 I’ll watch Cast Away again, but never Flight. Posted on Thursday, November 15th, 2012 at 1:44 am and is filed under Reviews.